3rd Annual Strike3 Foundation event October 7th. Over $5 Million has been raised for various charities since Little Fenway was built in 2001. Whether it is funding for spinal cord injured survivors, or support for individuals with type 1 diabetes, or funding for research to fight childhood cancer, the volunteers at Little Fenway have rallied together to help others move forward and improve their quality of life. In 2016 the Strike3 Foundation event raised over $40,000. Craig Breslow, the Founder of the Strike3 Foundation, and several former and prospective major league baseball players participated in the event. One of the highlights was a game between these celebrities and the children and families of Camp Ta-Kum-Ta, a Vermont-based camp for children with cancer. The SLAMt1D event at Little Fenway in 2016 raised over $100,000. This funding will be used to help send children with T1D to summer camps and to raise awareness for the needs of those with T1D so that they may live life in full. 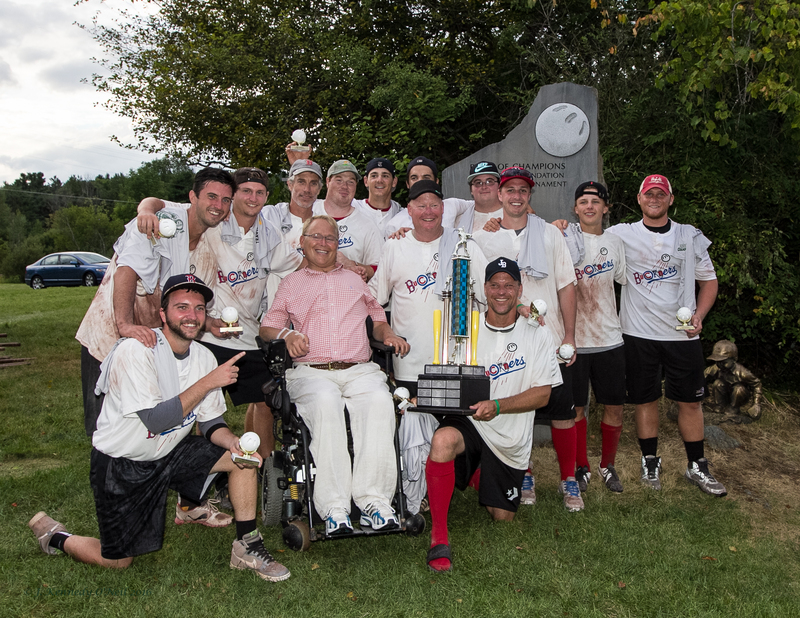 The Travis Roy Foundation WIFFLE Ball Tournament, the longest running event at Little Fenway, raised over $600,000 for the Foundation in 2016. This enormous contribution from hundreds of generous donors will enable the Travis Roy Foundation to issue more grants for adaptive equipment to spinal cord injured survivors and to fund additional research that will accelerate our efforts to find a cure for paralysis. These Little Fenway charity events are free to the public. Come witness the beautiful exhibition of community giving in an atmosphere that emphasizes family and fun. Each event features plenty of food concessions, raffles, home run derby for fans, and entertaining WIFFLE Ball games played by donors to each of these great causes. For more information on Little Fenway events you can contact Pat O’Connor at homerunpat@gmail.com.